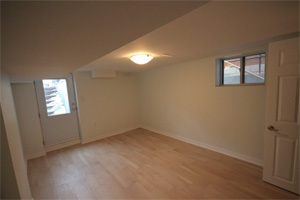 Given the number of properties in Toronto that have a basement, it is not surprising that underpinning is such a hot topic these days. If you have decided that you would like to make use of the below grade space in your home and you believe that this is the best way to do so, there are a few facts about underpinning of which you should be aware. To save you having to search online or ask other more experienced friends and relatives, we have made a list of the 5 most important facts you should know before you get started on this type of home improvement project. Acquaint yourself with the facts below before you approach any local contractors and you will be better prepared for your next home improvement project. You Will Need a Building Permit – Although you are not building a home addition that will be in plain view once it has been completed, you are making structural alterations so you will need to apply for a building permit from the local authorities. For this reason, you should hire a contractor who is familiar with the whole process and who can prepare all the plans and documentation that you will need for your application to succeed. Underpinning Is More Expensive Than Benching – Between the two options for lowering the floor in your basement, basement underpinning in Toronto is the more expensive. However, it is also the option that will provide you with the most floor space once the work has been completed, which is why it is such a popular choice. The Work Must Be Completed in Small Stages – Underpinning does take longer than many other home improvement projects but the ends justify the means as far as most homeowners are concerned. The reason it cannot be rushed is because it involves digging underneath the foundations of your house before new footings are poured into the space created. As the foundations are supporting your home, the work must be completed in small stages. Underpinning Will Strengthen Existing Foundations – If subsidence, local earthworks, or any other underground disturbance has weakened the foundations of your property, you will be pleased to know that basement underpinning a Toronto property will also strengthen these foundations. Underpinning Can Make the Addition of Extra Storeys a Practical Option – If you like the idea of being able to add an extra storey to your home at some point in the future, underpinning is the best way to lower your basement floor. By strengthening the foundations of your property, you can make adding an extra floor a practical proposition. If you would like to know more about basement underpinning in Toronto, please feel free to call us during business hours and we will be more than happy to answer your questions. We can also make plans to visit your home and prepare a detailed quotation for your consideration if you desire. There are a number of reasons that you might wish to underpin your basement, the most common of which we have listed below. Whether or not basement underpinning is the right choice for you will depend on the location and state of your property, as well as the aims that you hope to achieve. If you would like to find out why other people have this work done to their property, read the list below. If you have any questions after reading this list, please feel free to call the team at Integrity Home Additions and we will be happy to answer them. Is Basement Underpinning Right for Your Needs? Converting a Basement into Living Space – Many properties have quite spacious basements that would function perfectly as extra living space, if only the ceilings were a little higher. Whilst it is of course impossible to actually raise the ceiling of a basement, you can achieve the same aim by underpinning the foundations to lower the basement floor. If you want to lower your basement floor without going to the expense of underpinning, you could consider benching instead. However, if you do decide to go down this route, you should be aware that you will lose some of the floor area that you were hoping to convert into a new living space. Repairing Damage from Natural Forces – In some cases, the foundations of a property may deteriorate owing to natural forces such as earthquakes or floods. In such cases, it is often possible to repair the damage through basement underpinning. Adding an Extra Storey to Your Home – There are certain types of home additions, such as adding an extra floor, that normally require the existing foundations to be strengthened. Whether or not this will be necessary is something that is best determined by a structural engineer or another suitably qualified building expert. 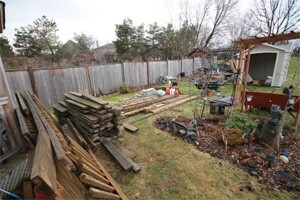 Damage Caused by New Developments in Close Proximity – If your property is in close proximity to major new building developments, there is a chance that the work performed by excavation contractors prior to the construction of these developments may have caused the earth surrounding your property to shift. Such shifts may result in damage to the foundations of your home, which basement underpinning could remedy. 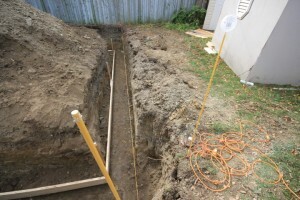 These are the most common reasons that homeowners consider having their basement foundations underpinned so if you are in a similar situation to any of the above examples, you may like to enquire about our basement underpinning services. Whether it is the right solution for you can only really be determined after a thorough survey but in the event that it is not the most practical option, we may be able to suggest an alternative course of action that will help you to achieve the same aims. 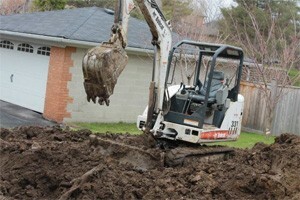 What Exactly Do Excavation Contractors Do? If you are planning a new construction, whether one of the simple ground floor home additions that homeowners across the country often contemplate or a more ambitious project that involves the building of a completely new property, you are going to need to excavate the proposed site beforehand. Excavation contractors may not have the most glamorous jobs in the construction industry and they rarely get their fair share of glory whenever a new building has been completed but they provide an essential service nonetheless. If you have ever wondered exactly what they do or you would like to know why you will need to find one to help with your new project, the rest of this article will hopefully answer your questions. This is not an exhaustive list but it will give you a good idea of what these contractors do on building sites across Canada and all around the world. Trenching – One of the most important jobs that excavation contractors perform is the digging of foundation trenches prior to the construction of a new building. Without a solid foundation on which to rest, most new buildings of any appreciable size would slowly subside into the surrounding soil, causing the walls to crack and eventually threatening the overall structural integrity of the whole edifice. In some cases you may need to hire demolition contractors as well, to clear your site before excavation work can begin although you may find one firm, such as ours, that can handle both tasks with ease. Swimming Pool Excavations – Some people say that a swimming pool is nothing more than a large hole in the ground and whilst any self-respecting pool contractor will tell you otherwise, it is certainly true that a good swimming pool starts off with a decent-sized hole in the ground. If you haven’t already guessed, the people to call when you want to excavate a large hole in your yard are of course your friendly, local excavation contractors. Exploration – On sites where it is believed that historically important artefacts may lie under the surface of the soil or that there may be hidden dangers making construction on the land inadvisable, you will normally need to excavate before you can proceed with your building project. In cases such as these, it will be necessary to hire a team of experienced excavators who can complete the work in a safe and sympathetic manner. Ditches for Utilities – When new gas or water lines need to be laid, excavation contractors can dig the necessary trenches. In some cases, the local utility company will do the work but in others, you will need to hire your own excavation team. We hope that the above has given you some idea of what contractors who specialise in excavation work may do during an average working week. If you have any questions about excavating or you would like to find out more about our services, please call during business hours or email us at any time. 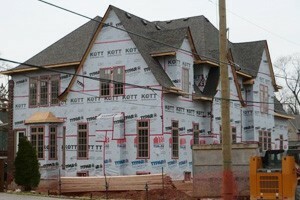 Should You Move Home or Invest in a Home Addition? This is a question that many families find themselves having to answer at some point or another but there is no one-size-fits-all solution. The best answer for you and your family will depend on your personal circumstances as well as the type and location of the property in which you live. If you are having difficulties deciding between having one or more home additions built and simply packing up and moving to a bigger property, asking yourself the following questions may help you to make the right decision. Home Additions or Moving Home: Which is the Best Solution for You? Before you get in touch with local estate agents to find out what is available in your area, ask yourself the following questions. You should involve your family at this stage as well, to ensure that everybody is able to have their say. Is Extending Your Property a Practical Option? – If you do not have enough land on which to build out, you may still be able to add the space that you need by building up. However, if you are planning to build up rather than out, basement underpinning to reinforce your property’s foundations is probably something you will need to consider beforehand. If it turns out that both extending outwards and upwards are impractical solutions, a move to a new house may be the only option available to you and your family. How Much Value Will a New Addition Create? – If one or more of the home additions that you are considering will add almost as much value to your property as they will cost to build, then staying put and extending your existing home is definitely worth serious consideration. Moving home is a major undertaking, both in terms of personal finances and the disruption that it will inevitably cause to every family member’s life. If you can achieve the same objectives by staying where you are, at little or no real cost, then you will be able to avoid a lot of unnecessary upheaval. How Settled Are You? – Aside from practical building considerations such as whether basement underpinning could help to provide you with the extra living space that you need (either by enabling you to use the basement itself or by adding an extra storey to your home), you should consider what moving would mean to each member of the family. If you have children in school who are soon to take important exams or you are in a location that is particularly convenient for work, home additions may be more appealing than uprooting the entire family and moving to a new location. This will be especially true if the move will also necessitate moving your children to new schools. If you would like to find out which home additions may be the most practical and cost effective for you and your family, please get in touch with Integrity at your convenience. We will be delighted to assist you in any way that we can. Demolishing existing structures on a plot of land to make way for a new building or for certain types of home additions may sound like an easy task but it is one that must be carried out by experienced professionals to ensure it is completed safely, efficiently and at a reasonable cost. Whether you are a private homeowner who would like to demolish a residential property in order to make way for a brand new one, or a commercial developer who needs to clear a large plot in preparation for a new office block or other commercial building, there are a number of questions you should ask any demolition contractors with whom you are thinking of working. There may be other questions that you need to ask owing to your particular circumstances or requirements, but the ones that are listed below are those that we would recommend you ask, regardless of your individual circumstances or needs. When you are talking to prospective contractors, remember to ask them all of the following questions before you consider putting them on your shortlist. Do You Have All the Necessary Permits? – In order to be able to legally operate in Toronto, or anywhere else in the country for that matter, demolition and excavation contractors need to have the correct permits and approvals from local authorities. Without these approvals and permits, it is not possible for a contractor to demolish any type of structure whilst staying within the law. How Much Experience Does the Demolition Team Have? – In order to work together safely and efficiently, as a cohesive unit, each member of the team needs to be familiar not only with their own responsibilities but those of their co-workers as well. It is therefore a very good idea to ascertain the amount of experience that demolition contractors have as a unit and not just as individuals. Is Disposal of Debris Included? – Disposing of the rubble that is left after demolishing a building or buildings may cost more than the actual demolition itself so you need to make sure that any quotations you receive cover the disposal of all waste materials. All reputable demolition contractors should include this cost so if you receive a quote that does not, it may be best to give that company a wide berth. What Kind of Equipment Do They Use? – A company that uses well-maintained, modern equipment will be able to complete your project in a safer and more efficient manner than one that relies on out-of-date machinery to get the job done. Make sure that the firms you are considering have good quality power tools and excavators at their disposal. Before you make your final choice, you should ask for detailed quotations from all the firms with which you are thinking of doing business. When you have examined these at length, you can either make an even shorter list of demolition contractors or go ahead and choose the most competitive one that ticks all of the boxes above.